European Elegance on Bird Key! Privacy and elegance await you behind the gates that open to a courtyard infused with magnificent colors of blooming tropical plants and a life-sized bronze horse. Charcoal grey pavers lead you to the pair of 8 ft. walnut colored doors that start your love affair with the custom two-story, 4 bedroom 4-1/2 bath custom estate with 4,289 s.f. under air built by Anchor Builders. 13; 13; It 8217;s all about quality for this truly remarkable residence that offers timeless architectural features including travertine marble floors throughout the main living areas, wood floors in the bedrooms, marble and granite countertops, beautiful cabinetry, stunning built-ins, gorgeous archways, French stone fireplace, dramatic two-story foyer, bronze braided stair railings, double crown molding, tray ceilings, spectacular gourmet kitchen with secret pantry, new Wolf 6 burner gas range with double ovens, new Subzero fridge, magnificent 10 8217; sliders opening to the custom pool and spa surrounded by tropical, lush manicured landscaping. 13; 13; Other features include exquisite light fixtures, a resort-like master suite with huge his and hers walk-in closets, luxurious Calcutta gold clad marble bath with dual sinks, walk-in shower for two and large jetted tub. Upstairs is an extraordinary media/game room with pool table, theater seating, wet bar, wine fridge, dishwasher, icemaker and a gorgeous balcony overlooking the pool. Please, send me more information on this property: MLS# A4402838 – $1,749,000 – 436 Pheasant Way, Sarasota, FL 34236. 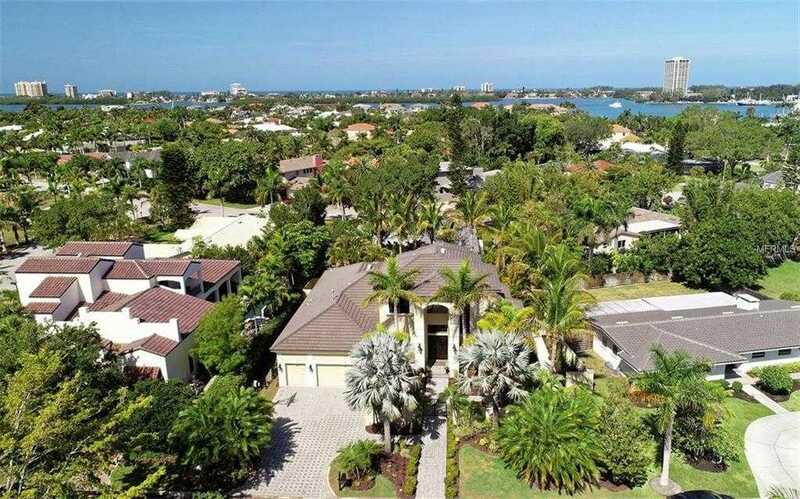 I would like to schedule a showing appointment for this property: MLS# A4402838 – $1,749,000 – 436 Pheasant Way, Sarasota, FL 34236.